Display. 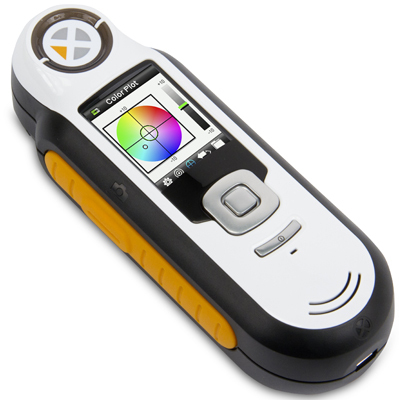 Communicates color information, instrument status, and option. Measure button. Two stage button; press lightly to start preview and firmly to measure. Enter button. Selects menu items and opens tag menu. Speaker and Microphone. For recording and playback of voice tags. USB connection. USB connection for charging the battery and interface to computer or printer.